Dmae Roberts talks about age and gender equity in Portland theatre with guest Jane Vogel. Shes the founder and board president of AGE, Age and Gender Equity in the Arts a new organization addressing the need to represent more women playwrights, actors and directors on Portland stages. AGE will be presenting a celebration and introduction to its organization on May 4th, 6:30-8:30pm at Portland Center Stage. Besides providing dialogue and awareness for equity and agism issues, the group is starting a grant award to encourage increased representation in Portland theatre. 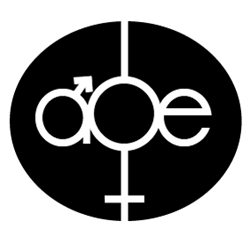 All through 2016, Dmae has been focusing on gender equity and agism. This is the fourth show focusing on this issue. 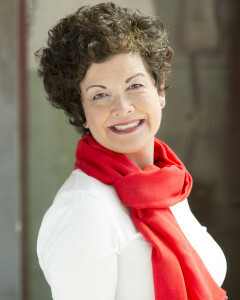 Jane Vogel, Founder and Board President, is an actor, an activist, and a clinical psychologist. She has an extensive history of championing for social justice issues. She holds a Ph.D. in psychology from the University of Oregon. She served on the Board for the Center for Community Counseling in Eugene, OR for fifteen years, including tenure as Board President. Jane was born in Indonesia, lived in the Netherlands and became a naturalized US citizen in 1967. Jane and her husband live in Portland. They have two grown children. More about the organization: Age and Gender Equity in the Arts was established with a mission to empower and promote the visibility of women across the life span in the performing arts. Founded by Portland actor and activist Jane Vogel, the organization seeks to create a unique movement which promotes inclusive and diverse representation of all people in the arts. AGE will recognize and grant awards to professional theatre entities that demonstrate parity in their programming, with awards targeted to begin in 2016. More about the event: The May 4 launch celebration event will feature performances and presentations by Portland talent and supporters of AGE, including Alana Byington, Grace Carter, Patricia A. Hunter, Susan Jonsson, Sue Mach, Vana O’Brien, Daniel Pollack-Pelzner, Ithica Tell, Joshua Weinstein, Bill Wadhams and Ronni Lacroute.